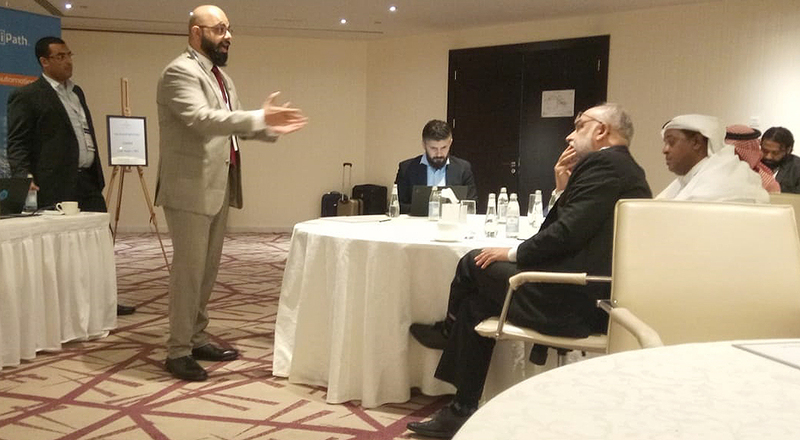 On 26 March, GEC Media Group, successfully completed an executive round table discussion on robotic process automation in Riyadh. 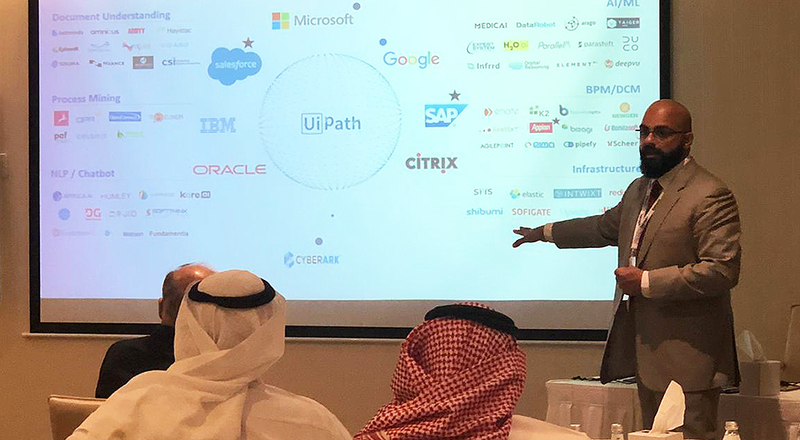 The roundtable was completed in partnership with UiPath and Saudi Arabia partner, MIS. 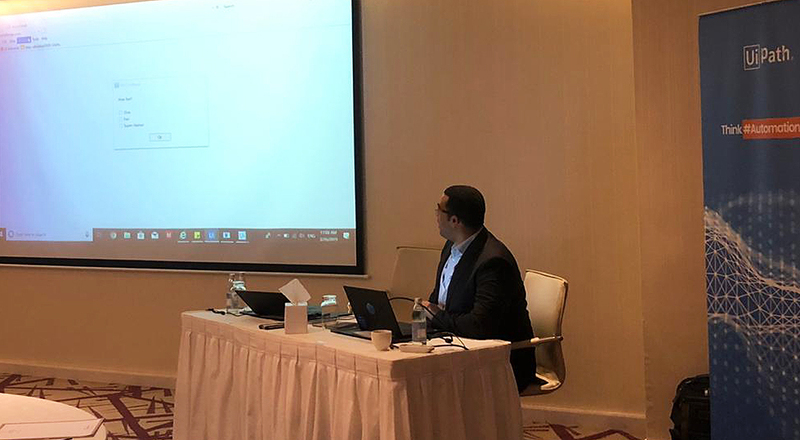 The opening key note presentation was made by Karan Dixit, Vice President Middle East and Africa, UiPath. It was followed by a hands-on demonstration of an automated process, that was appreciated by the executives at the round table briefing session. 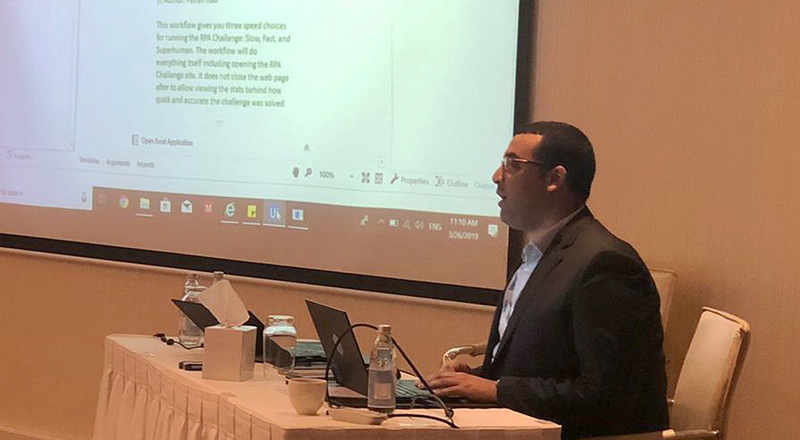 Ahmed Elazab, Digital Division Manager of Saudi Arabia based partner, MIS, pointed out that UiPath’s robotic process automation provides advanced macro-like capabilities that can mimic user actions. 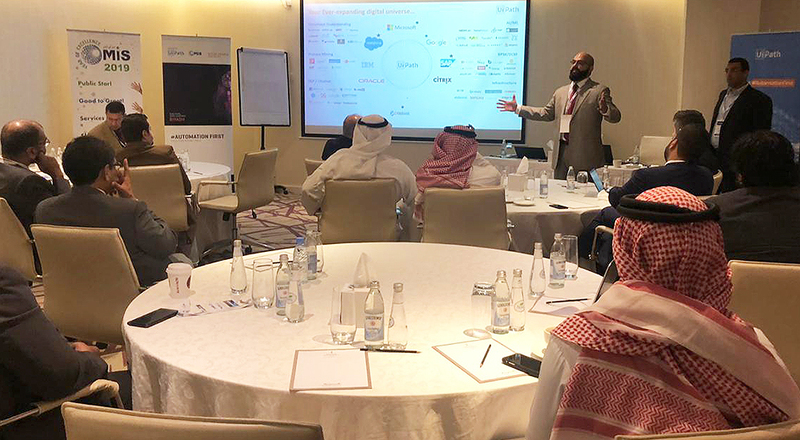 Karan Dixit, Vice President for Middle East and Africa, UiPath, explaining the fundamentals of RPA to executives in Riyadh. 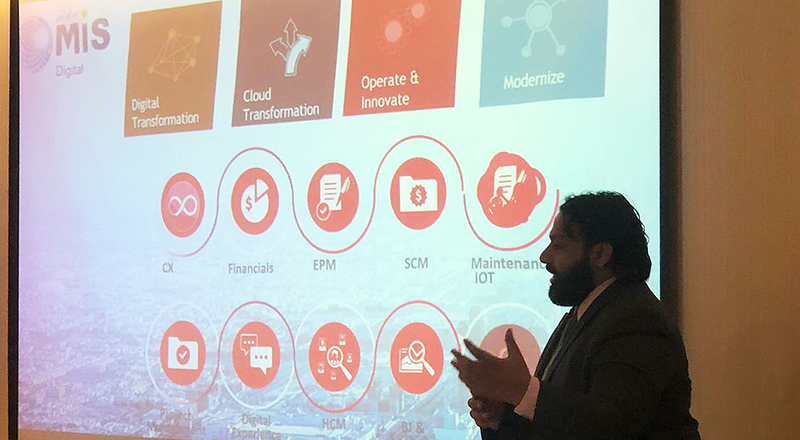 Karan Dixit, Vice President for Middle East and Africa, UiPath, describes the vendor’s alliance programme to executives in Riyadh. 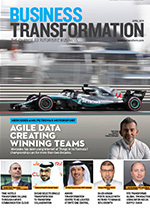 Elazab pointed out that the typical processes that can be automated include routine key stroke operations such as collecting social media statistics; reading and writing to databases; manual data collection and manipulation; scraping data from the web; merging data from multiple places; extracting and reformatting data into reports or dashboards; conducting data calculations; copying and pasting data; populating standard forms; opening emails and attachments; moving files and folders; following if-then decisions and rules; logging into web enterprise applications; connecting to system APIs; extracting structured data from documents, amongst others. 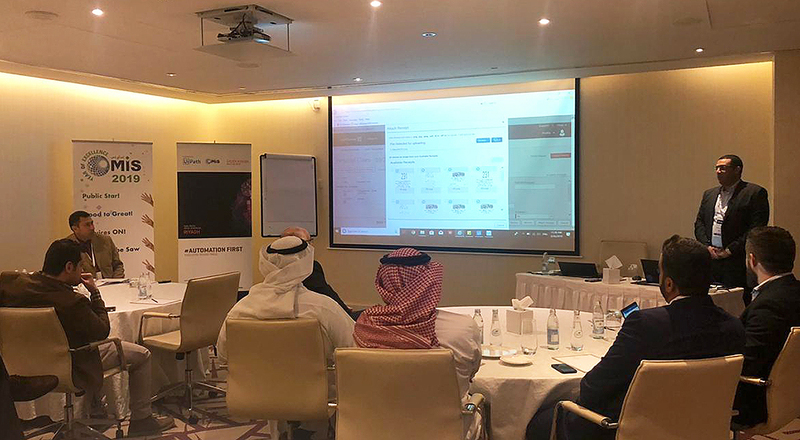 Ahmed Elazab, Digital Division Manager, MIS, describes the partner’s on demand services for robotic automation of processes. 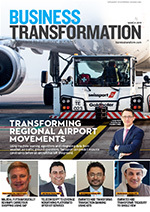 Ahmed Elazab, Digital Division Manager, MIS, explains which keystroke processes can be mimicked and automated. 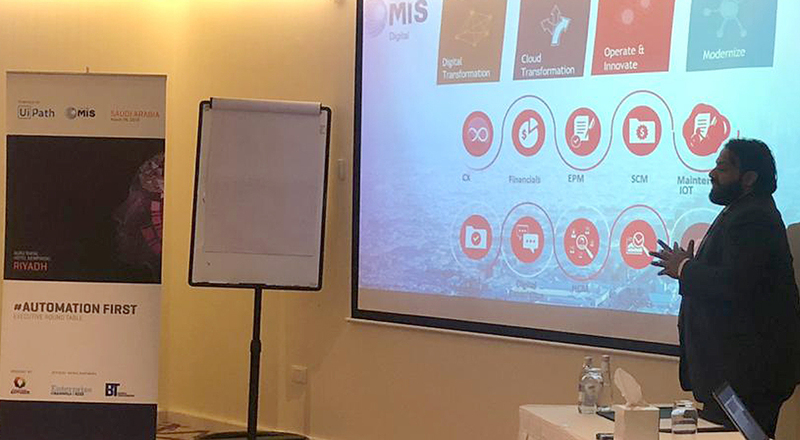 Elazab also explained that MIS can offer an on-demand service for robotic process automation. This service can deliver a specified number of robots per month for end user organisations, while monitoring their behavior for performance as well as providing suggestions on further developments of robots. This service allows an unlimited number of support tickets to be opened, while also providing both offsite and onsite visits. Hands-on presentation of how manual processes that do not need human intervention can be automated. 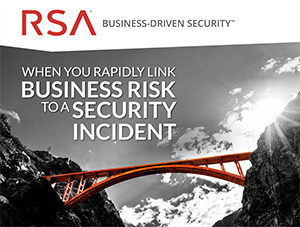 MIS can offer an on-demand service for robotic process automation.